With less than a week for the biggest football extravaganza of the country, northern giants Minerva Punjab FC made another jaw dropping move after the appointment of Colm Toal as the Technical Director, this time it was UEFA Pro License coach Jose Carlos Hevia who joined the Chandigarh based warriors. 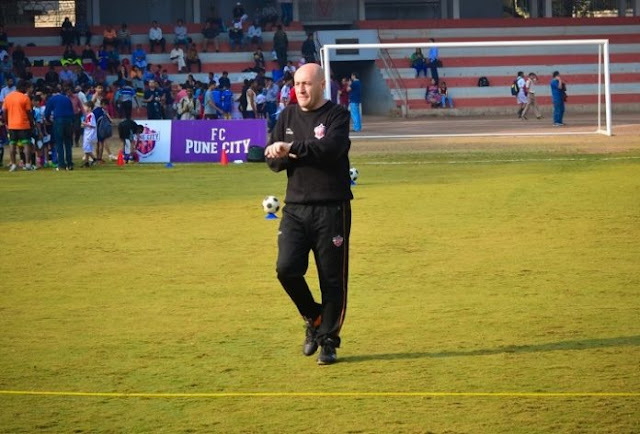 He is no alien to the Indian Football fraternity as he had a successful stint with FC Pune City as the Technical Director and Head of Grassroots Development from 2014 to 2016 and completed the enormous task of setting up FC Pune City Academy from scratch. Appointment of Spaniard whose CV boast of 26 years of successful coaching in Spain and India would surely give a professional touch to the Club and also boost the confidence of the players and the management working together with him. With Colm Toal as the Technical Director and Jose Carlos Hevia as he Head of Youth Development Minerva Punjab FC would surely be the next football sensation of India.